Often the first line of attack in addressing a variety of symptoms for vein conditions is Conservative treatment. Also referred to as EVLT, Endovenous Laser Treatment is a minimally-invasive procedure used to eliminate varicose veins. 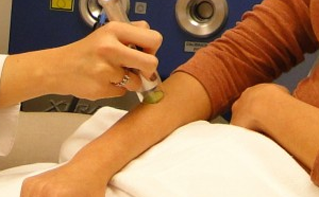 This treatment uses tiny puncture marks on the skin along the affected vein to insert a small tool that removes the diseased vein in sections. Sclerotherapy eliminates spider and smaller varicose veins through the injection of a special solution known as a sclerosing agent. Also known as VeinGogh, Ohmic Thermolysis is an innovative treatment for the elimination of unsightly and painful varicose veins. Varicose veins and venous insufficiency often do not respond fully to a single method of treatment.